WATERBURY, Conn.—A past National Teacher Of The Year, union member Jahanna Hayes, may be coming to Congress from Connecticut this fall. 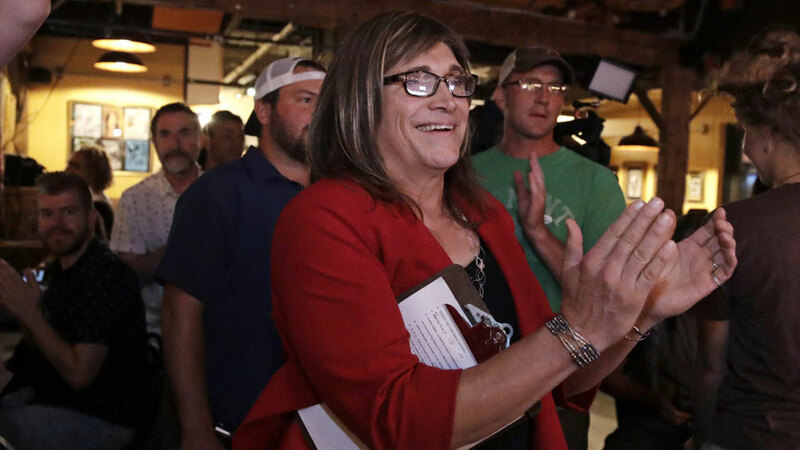 And Vermont Democrats made history by nominating a transgender person, Christine Hallquist, for governor. 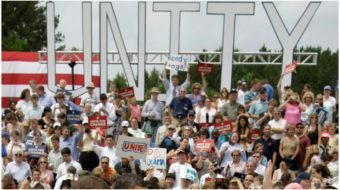 Their wins were among the more-notable results as voters in Connecticut, Wisconsin, Minnesota and Vermont went to the polls on August 14 – a day when four out of the seven union members running for top state and national offices won their party’s nod. And the three others finished second. Hayes, a social studies teacher from Waterbury, Conn., led the way and may have the easiest path in November. The 5th Congressional District, which also includes New Britain, Danbury and northwestern Connecticut rural towns, leans Democratic. 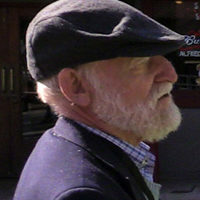 Hayes is a member of the Connecticut Education Association, the state affiliate of the National Education Association, the nation’s largest union. By contrast, the other union winners – U.S. Rep. Tim Walz, DFL-Minn., an Education Minnesota member, for governor, former Minnesota state AFL-CIO official and Education Minnesota local president Julie Blaha for state auditor, and Ironworker Randy Bryce for southeastern Wisconsin’s 1st Congressional District, may have tougher rows to hoe this fall. Blaha was unopposed on August 14. Walz will be aided by the fact that his GOP foe, Hennepin County (Minneapolis) Commissioner Jeff Johnson, out-Trumped the establishment favorite, former Gov. Tim Pawlenty, in that party’s primary. But Democratic presidential nominee Hillary Clinton barely carried Minnesota against Donald Trump. In Connecticut, Hayes says that being a union member – first with the Service Employees and then with NEA – and her teachers lifted her, an African-American single mother, out of poverty. If she wins this fall, she would be Connecticut’s first African-American woman ever in Congress. Hayes, named 2016 National Teacher of the Year by the Council of Chief State School Officers, accepted the award from President Barack Obama. A committed progressive, she stresses increased spending on public education, and backs Medicare for All and the Fight for 15 and a union. Other top results for progressives were wins by Hallquist, head of Vermont’s electricity co-op, for the Democratic nomination for governor, Muslim-American Ilhan Omar for the Democratic nomination in the safely Democratic Minneapolis-based 5th Congressional District, and single-payer government-run health care (Medicare for All). That’s because Democratic unionist winners endorsed that progressive plank. 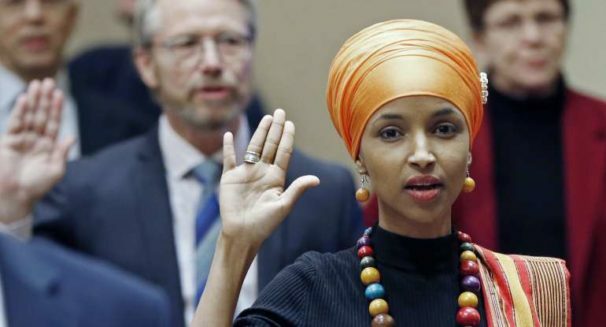 Its backers include Bryce, Hayes, Hallquist, Omar and the man Omar hopes to succeed, Rep. Keith Ellison, DFL-Minn., who won the party’s nomination for state attorney general. Ellison, too, is Muslim-American. Even Walz, a high school teacher who has represented the politically marginal 1st Congressional District for 12 years, says in his platform that “a single-payer type system is on Minnesota’s horizon.” But “we have a public care option right now,” he notes, and he plans to fight against GOP plans to dismantle it. 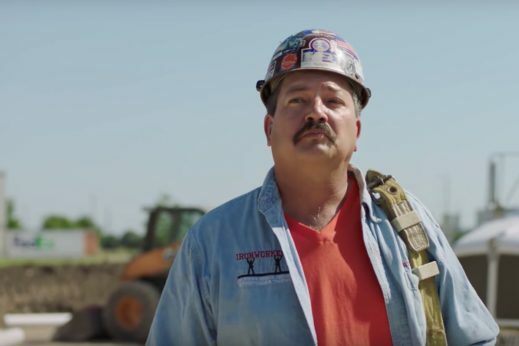 Wisconsin’s Bryce hit the headlines last year with an inventive campaign ad noting that he lives in the district and campaigns among his friends, neighbors and other residents – and that he’s running as a union man in an area where the Auto Workers once had a heavy presence. Bryce’s energetic and well-financed campaign helped convince incumbent Rep. Paul Ryan, the GOP U.S. House Speaker embattled by the right-wing crazies in his own party, to retire. A Ryan aide won the GOP nomination in the district, which includes Democratic Kenosha – Bryce’s and Ryan’s hometown – and a sea of rural Republican counties. And in the Connecticut gubernatorial primaries, progressive businessman Ned Lamont, who defeated hawkish then-Sen. Joseph Lieberman (D) in the 2006 party primary, not only won the Democratic gubernatorial nod, but swamped everybody else. He won 158,756 votes (81.4 percent), outpolling his sole Dem foe, a former convicted city mayor, Joe Ganim, and all four Republican hopefuls, combined. Two of the union losers were former Wisconsin State Fire Fighters President Mahlon Mitchell, and Erin Muphy, executive director of the Minnesota Nurses Association/National Nurses United and a state legislator. She finished second in the primary to Walz, and together they took almost three-fourths of the Democratic vote. Mitchell finished second in Wisconsin to the winner, Tony Evers, the state superintendent of public instruction. Evers will face one of unions’ most-hated foes this fall: Right-wing GOP Gov. Scott Walker. Defying popular opinion, and 100,000 protesting people who jammed the streets and the state capitol building in sub-zero weather and snow in February 2011, Walker and the state GOP enacted infamous Act 10 through the Republican-run legislature, emasculating the state’s public worker unions. Latest polls show Evers with a double-digit lead, but unions and their allies expect the radical Right, especially the Koch brothers, to pump millions of dollars into the Walker-Evers race. The third unionist who lost, first-time candidate Eva Bermudez-Zimmerman, a 31-year-old Service Employees organizer and fresh face on the political scene, ran a credible race for the Democratic nomination for lieutenant governor in Connecticut. Had she won, she would have been the first Puerto Rican woman to seek a statewide post there.